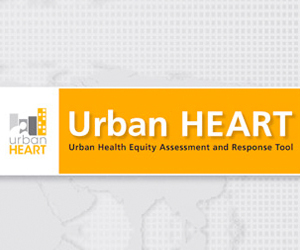 The Urban Health Equity Assessment and Response Tool (Urban HEART) helps urban policymakers, communities and other stakeholders better understand the local socio-economic factors that influence health outcomes and tackle urban health inequities. Developed by the World Health Organization (WHO), the tool serves to identify and correct policies that perpetuate these inequities, for instance, the higher rates of illness and death among the children of families in urban poverty than among those born into relatively affluent homes. Click here to learn more. The Urban Reproductive Health Initiative (URHI) was a multi-country programme in India, Kenya, Nigeria and Senegal, that aimed to improve the health of the urban poor between 2010 and 2015 by seeking to significantly increase modern contraceptive prevalence rates – especially among the urban and peri-urban poor. This was done by: integrating and improving the quality of family planning services, particularly in high-volume settings; increasing provision, including through public-private partnerships; and dismantling demand-side barriers to access. The Measurement, Learning & Evaluation (MLE) Project promoted evidence-based decision-making in the design of integrated family planning and reproductive health (FP/RH) interventions for the URHI. It included resources and tools that can be used to design a more effective urban family planning programme. Click here to access these tools and learn more. Building on evidence from the Urban Reproductive Health Initiative (URHI) in four countries, India, Kenya, Nigeria and Senegal, the Challenge Initiative offers a new paradigm for expanding URHI’s proven solutions to new cities and geographies. The initiative currently works in East Africa, Francophone West Africa, Nigeria and India where it makes use of Accelerator Hubs such as IntraHealth International in Dakar, Senegal. IntraHealth International collaborated with the government, health workers, and other local stakeholders for more than a decade to strengthen Senegal’s health systems and bring high-quality health care services to more communities. 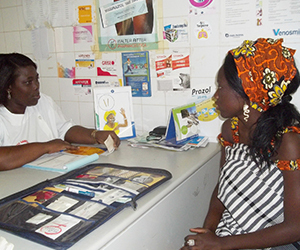 In 2014 alone, IntraHealth’s Senegal Urban Reproductive Health Initiative (ISSU) delivered FP services to over 30,000 women and provided more than 67,000 couples years of protection via community-based interventions in poor urban areas. Click here to learn more.